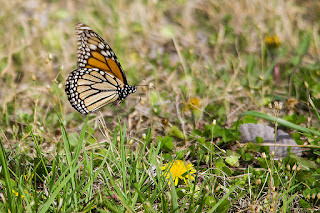 I've been very happy to see the butterflies around this Spring. 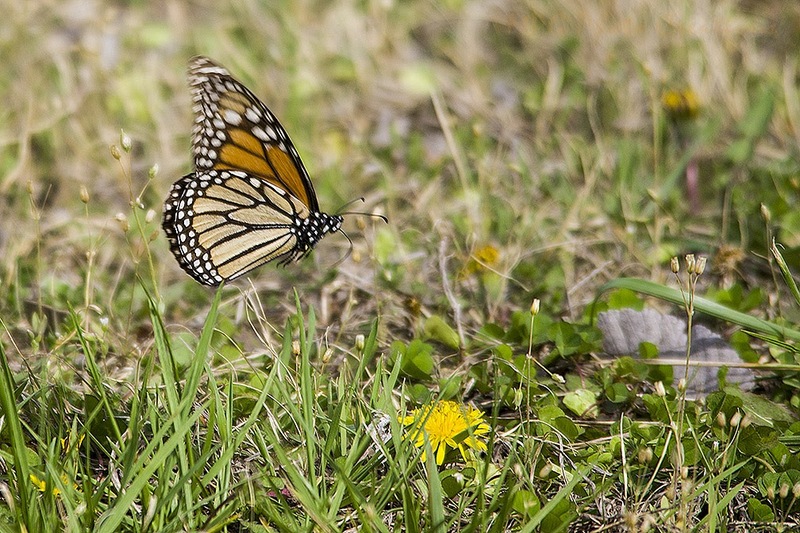 This past weekend there was a Monarch visiting as well and I was able to capture it in flight as it visited the Dandelion flowers in the yard. Most people try to rid their yards of Dandelions as weeds but I like to have them because the butterflies and bees enjoy them in the Spring when there are not many other flowers blooming.